Sometimes you get records with no originality at all; a complete copy of a well-known group . 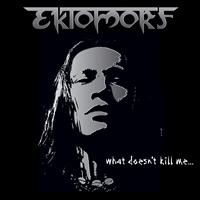 Ektomorf is shamelessly copying Soulfly with no own input. Everything you hear has been done by Soulfly or Sepultura, just better. This band from Hungary has been around since 1994 and have recorded 7 albums so far. If I'm not mistaken this is their 8th. Musically there is not so much to complain about, you can hear that they know how to handle their instruments. Personally I can't get excited about them. One Soulfly on this planet is enough. Fans of Soulfly can check them out. But to me it is stealing.